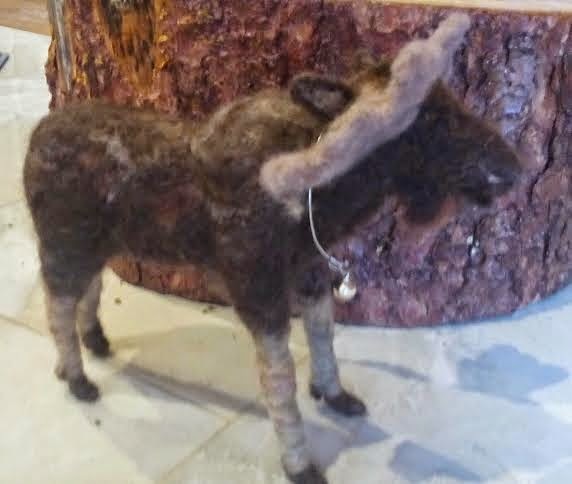 These needle felted animals are made with various types of wool batting and wool roving. They also have wire armatures that make their legs flexible for standing and can even be posed in various positions. See more needle felting. 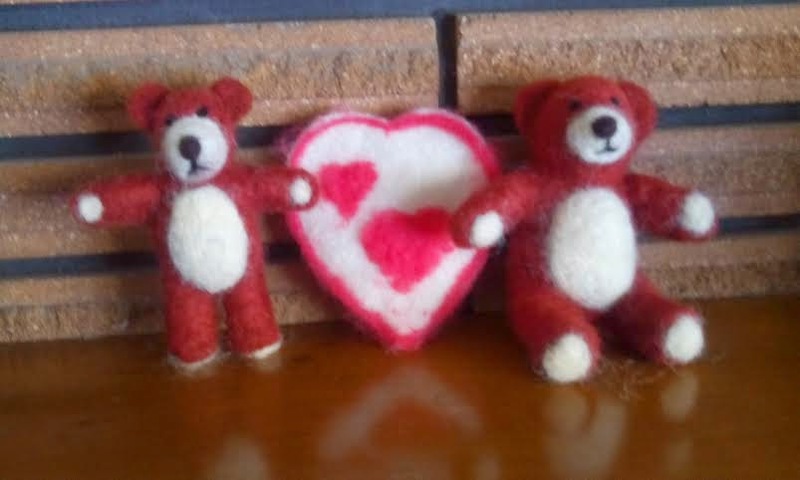 Happy Valentine' Day from Big Nutmeg Bear and Little Nutmeg Bear. 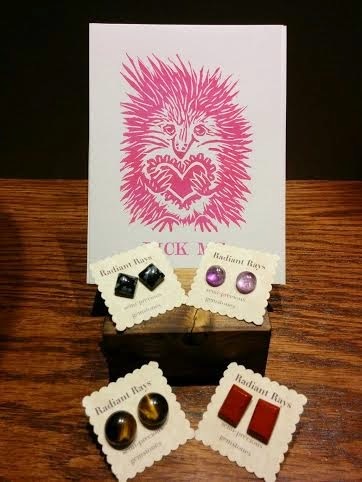 "PICK ME": Semi Precious Gemstone Earring Studs available through Salgado Fenwick's local designer clothing store on 124St. and 108Ave, Edmonton. 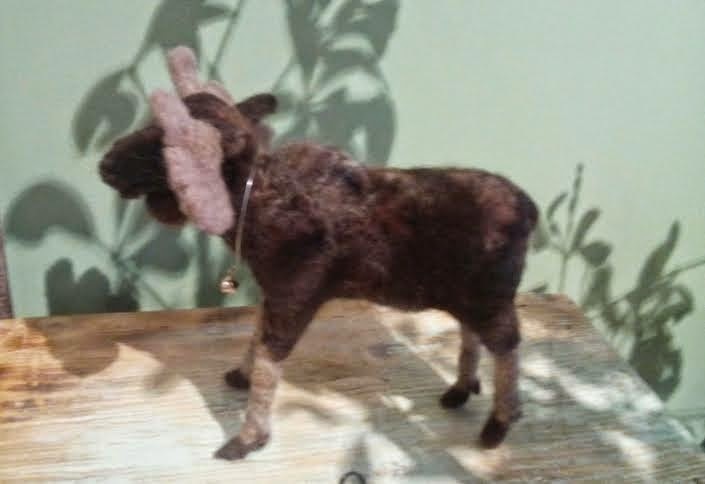 I am currently working on a needle felted bison and will devote most of my creative energy to needle felting projects this month. I look forward to updating you with pictures of my needle felting.